Exeter-Milligan Band on the road at State Volleyball Tournament. The Exeter-Milligan Band, under the direction of Shane Whitford, was once again on the road to all three days of games at the State VB Tournament held in Grand Island. This was the third year in a row that the band has been able to play at the State VB Tournament thanks to the hard work of the E-M Volleyball Team. 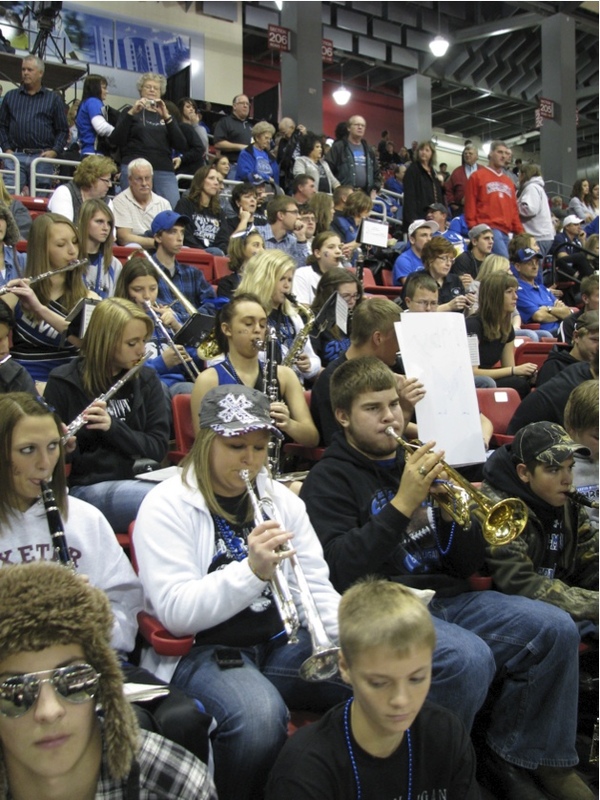 The band looks forward to basketball season and all of the performance opportunities that await. Go T-Wolves!